There is something precious about watching your baby sleep and naturally you want to do all you can to make sure they are safe and comfortable. We have discovered some beautiful baby bedding that will be soft on their delicate skin, keep them warm at night and keep your cot looking stylish in the process. The Fine Cotton Company have a great range of bedding for babies and children, but we especially love the Hampton Organic Cotton Fleece Blanket. This super soft blanket is made from 100% cotton, is warm and beautiful. The blanket comes in 4 different sizes and a range of colours. 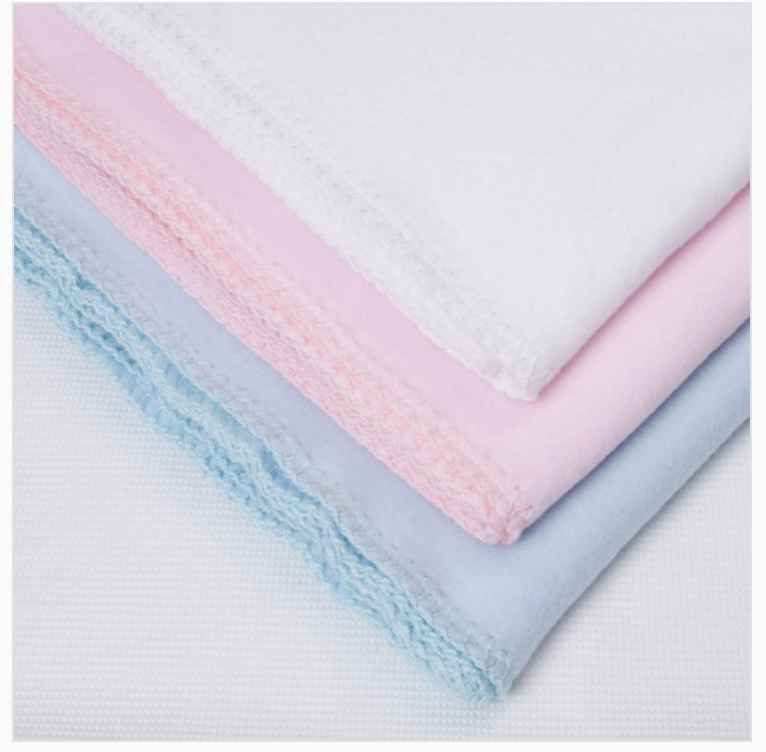 This lovely blanket will feel amazing for your baby and ensure you nursery looks pretty too! Excuse the pun, but it is hard not to fall in love with the Guess How Much I Love You Knitted Blanket and Comforter Gift Set. This lovely duo are just perfect for your baby or as a gift for someone else, the knitted and breathable blanket is soft to touch and crowned with a little ‘Guess How Much I Love You’ logo. This set also comes complete with a soft baby comforter resembling Little Nutbrown Hare, perfect for soothing your little one to sleep. The receiving blanket is made from 100% cotton, whilst the comforter is made from 100% polyester. Rocking Baby have created a funky range of luxuriously soft blankets, perfect to add some colour to your nursery. 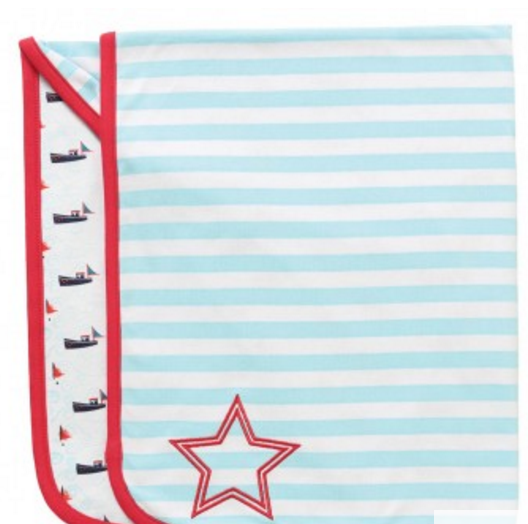 The Warmin’ Reversible Blanket has light blue stripes and a red trim on one side, and ships sailing on the other. This cool blanket is made from 100% cotton and Embroidered with the beautiful Rockin’ Baby star, keeping your baby warm and safe at bedtime. Every blanket is packaged in a beautiful box, making the perfect baby shower gift or indeed for your own baby. This classic style oozes class and is great for any weather, as the clever ‘cell’ construction traps air to keep your baby warm in winter and cool in summer. 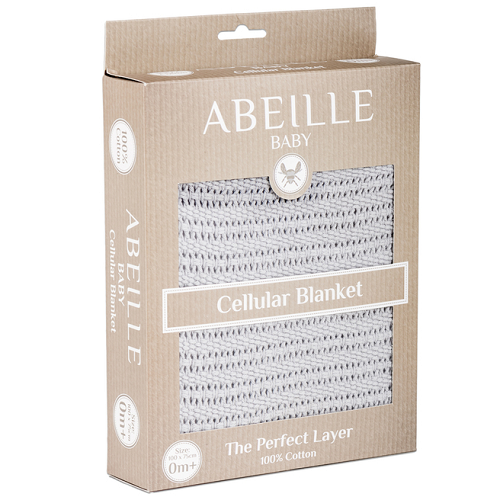 The cellular blankets are recommended by hospitals and the stunning blanket comes in arrange of colours from white to red. It makes sense to protect your cot mattress with a waterproof cover, in case of any leaks. 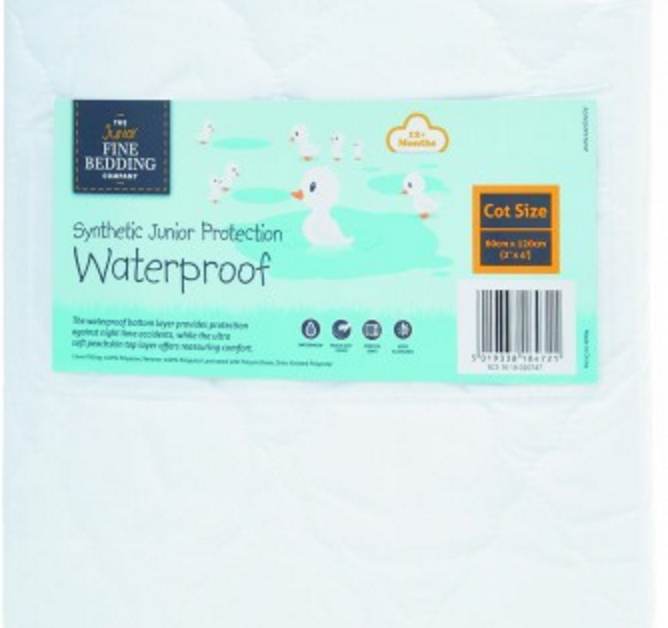 The Fine Bedding Company have created the perfect mattress cover, the waterproof layer protects against accidents, whilst the soft top layer offers comfort and a little padding. It comes in a range of sizes, from single to cot and is Hypo-Allergenic. This is a must have for any baby or toddler. 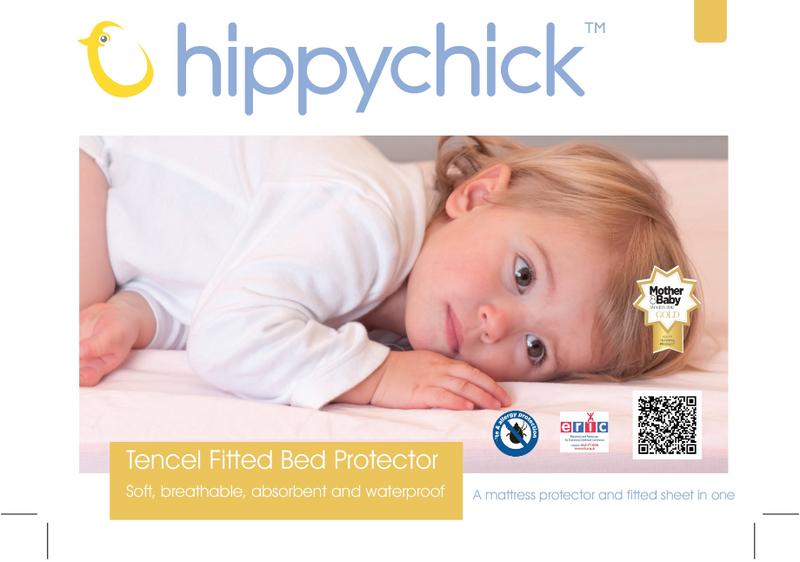 Hippychick have created a mattress protector and a fitted sheet in one, essentially a waterproof sheet, pure genius! It is made from Tencel, a naturally hygienic fibre, made from 100% biodegradable wood pulp cellulose. It is as cool as linen, soft as silk and even more absorbent than cotton, making it the perfect waterproof bed protector and a great natural alternative to sweaty plastic under sheets. 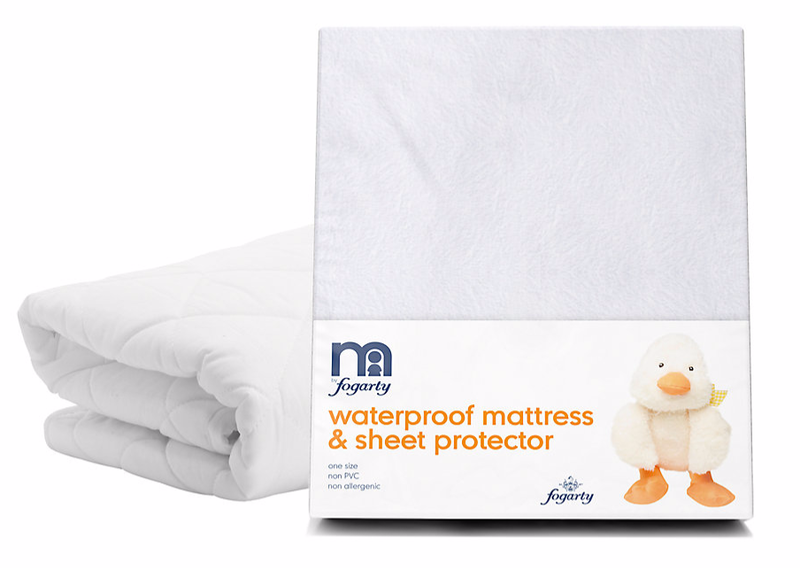 Fogarty have recently teamed up with Mothercare and created the perfect bedding product range for children. This mattress pad has a waterproof element that protects the mattress and bottom sheets from any moisture, spills or leakages. 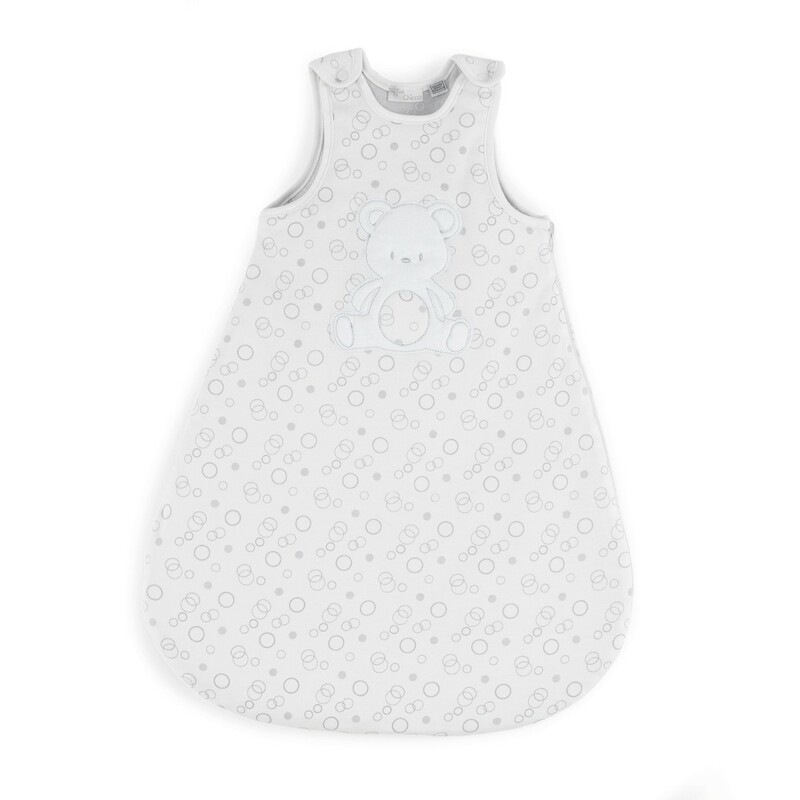 Plus the padding feels bouncy and soft, just right to help your baby sleep through the night. The pad is also easy to fit and is portable for easy use when you’re on the move. The JoJo Maman Bebe sleeping bag is beautifully soft and suitable all year round, (apart from the height of summer). Not only do they look cute on your baby, it is safer than traditional covers and encourages a sense of security. This beautiful sleeping bag has blue and white stripes, plus a little whale emblem. It prevents covers being kicked off, so your baby can sleep safely through the night and keep warm. Chicco have created a reversible sleeping bag with a zip protector cover, perfect to keep your baby safe. This precious little sleeping bag is grey on the inside and white on the outside, with a cute little teddy bear emblem. The unisex bag is soft on your babies skin and is made from 100% cotton jersey. The top has poppers for easy access and will keep your baby feeling safe and warm in his or her cot. Using a sleeping bag for your baby encourages them to sleep in the feet to foot position, which means that their feet stay safely at the bottom of the cot.